Sleep provides an opportunity for the body to repair and rejuvenate itself. Studies have demonstrated that animals deprived of sleep lose all immune function and die in just a matter of weeks. Many of the major restorative functions in the body like muscle growth, tissue repair and detoxification occur during sleep. Sleeping less than 7-8 hours per night has been linked to an increased risk of heart disease and stroke. If you are trying to lose weight then sleep becomes even more important since our bodies actually burn fat during our sleeping hours. Another reason you might pile on the kilos when you are sleep deprived is because your body goes into survival mode. Your metabolism slows down in an attempt to conserve its resources. Getting a good night of quality sleep is just as important as a healthy diet and exercise. Many of us are, unfortunately, not getting the kind of sleep our bodies require. The primary reason is that modern life is interfering with our natural patterns of sleep. Technology and social media are big culprits. Combine this with high levels of chronic stress, poor diet, lack of exercise or over exercising and one has a recipe for disaster. If you are not getting at least 7 to 8 hours of uninterrupted quality sleep each night, it is time to implement some of the following strategies. Your brain secretes more melatonin (the sleep hormone) when it’s dark – making you sleepy. Many aspects of modern life can however alter your body’s production of melatonin and upset your circadian rhythm. Stimulation from bright light at night can prevent your brain from shutting down and going to sleep. You might consider block out curtains and/or a sleep mask. Make your bedroom space relaxing and inviting by having lights on a dimmer switch or making use of a lamp’s softer lighting. Get the TV out of your bedroom. It is your worst enemy for getting a good night of sleep. Light candles and play soft music instead. Ensure your bedroom is well ventilated and a comfortable temperature. If you live in a noisy neighbourhood, wear earplugs. The soft, memory foam varieties that mould to the shape of your ears help block out nearly all sound. The key is to make a plan to ensure you can get to sleep by 10 pm, at the latest, because the best hours of restorative sleep are those between 10 pm and 2 am. Next, make sure you are comfortable – this might seem obvious but sometimes we need reminding. Factors to consider are the size and firmness of your mattress, the shape of pillows; the thickness of your duvet and even the fabric that your sheets and sleepwear are made from – 100% cotton is a great option. When all of these elements are “just right,” the hours of tossing and turning trying to get comfy and fall asleep could become a thing of the past. How often have you been drifting off to sleep and the beep from a text message wakes you up? You find it impossible not to look and see who it is from. Once you have typed your reply, you are wide-awake and sleep eludes you for another hour. Sound familiar? Avoid this happening by switching off your phone, putting it into flight mode or by enabling the “do not disturb” function. Disconnecting from our on-line life is crucial. 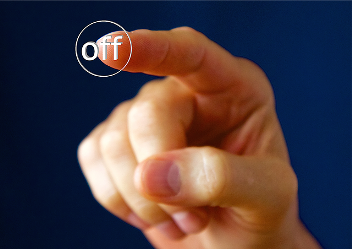 Many people find this incredibly difficult to do but one can reap abundant rewards when one masters the ability to “switch off.” Your sleep is more important than watching a video of your friend’s cat chasing a mouse on Facebook. Not only can social media eat into precious sleep time but, in addition, the blue light that the devices emit actually suppresses the release of melatonin. This is bad because we need melatonin to be released at night so we can go to sleep. If you often watch TV or work late at night on your computer, consider buying a pair of blue-blocker glasses (or amber lenses) that filter out a portion of the light waves that suppress the release of melatonin. Make an effort to switch off all devices at least 1 hour before bedtime. What you choose to do in the daylight hours has a big impact on your sleep quality at night. Moderate daily exercise is important for general health and stress management. It is also really beneficial for preparing your body and mind for a good night of sleep. The goal is to enjoy an endorphin-producing workout without exhausting yourself. If you don’t currently exercise, now might be a good time to start. Start slowly and increase the intensity and duration as your fitness improves. Caffeine is a strong stimulant that can seriously interfere with your sleep. Ideally, one should avoid all sources of caffeine from early afternoon onwards. Drink water or herbal teas instead. Drinking alcohol can result in a restless night of sleep and is best kept to a minimum. Dark chocolate as a late night snack can also be very disruptive to sleep as it contains theobromine, a stimulant that causes an increased heart rate. Instead of dozing off on the couch in the middle of the afternoon, go for a walk to revitalise your energy levels. Napping during the day can adversely affect your ability to fall asleep easily at night. Getting at least thirty to sixty minutes outdoors, in natural daylight, can help reset your circadian clock to a more natural rhythm. Your body loves ritual and consistency. If you establish new and healthier bedtime habits like a warm bath, a beauty regime, deep breathing exercises or light stretching, eventually your body will come to recognise these actions as a prelude to going to bed and will start the “winding down” process. Sleep is essential for life. One’s body craves sleep just like it hungers for food and thirsts for water. Going without quality sleep for too long can make us feel lousy and will ultimately cause health issues. A good night’s sleep can, on the other hand, make us feel on top of the world. Good sleep and optimal health go hand in hand. You can’t have one without the other. Posted on May 2, 2017, in Primal 101 and tagged dangers of screen time, how to get better sleep, sleep and fat loss, sleep and health, sleep and weight, social media, the importance of sleep. Bookmark the permalink. Leave a comment.